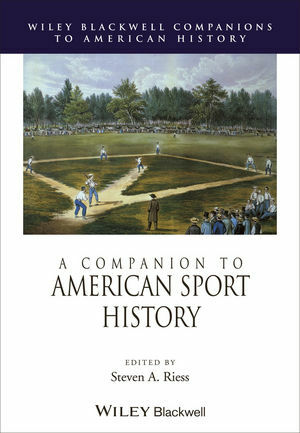 A Companion to American Sport History presents a collection of original essays that represent the first comprehensive analysis of scholarship relating to the growing field of American sport history. Steven A. Riess is the Bernard Brommel Research Professor of History at Northeastern Illinois University. His books include City Games: The Evolution of American Urban Society and the Rise of Sports (1989), Touching Base: Professional Baseball and American Culture in the Progressive Era, Revised Edition (1999), and The Sport of Kings and the Kings of Crime: Horse Racing, Politics, and Organized Crime in New York, 1865-1913 (2011), and Sport in Industrial America, 1850-1920, Second Edition (Wiley-Blackwell, 2013).